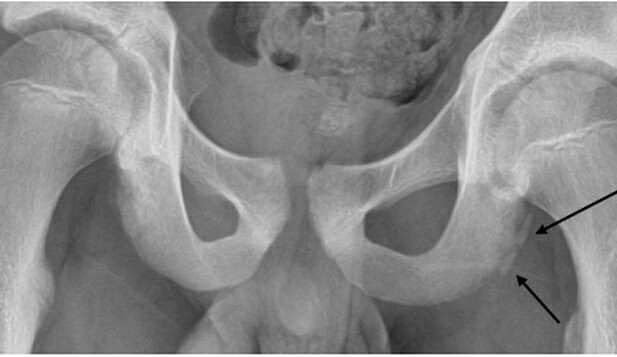 This patient has an avulsion fracture of the ischial tuberosity, seen as displacement of the apophysis. Displaced avulsion fragments or chronic nonunion fragments may require surgical repair. Acknowledgment: Image courtesy of Teleradiology Specialists.